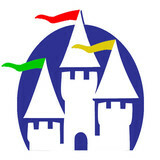 Castle Keepers House Cleaning services Dayton, OH and surrounding areas, including Beavercreek, Bellbrook, Centerville, Dayton, Englewood, Fairborn, Franklin, Germantown, Huber Heights, Kettering, Middletown, Moraine, New Carlise, Oakwood, Riverside, Springboro, Trotwood, Vandalia, Washington Township, Waynesville, West Carrollton, and Xenia. Castle Keepers House Cleaning is committed to protection of the environment, the health and safety of its employees and customers. We use natural products that clean better, are safer for your family, and are better for the environment. We are a leader in green cleaning for the residential cleaning industry. We pioneered the Modern Cleaning method of chemical free cleaning and co-authored the book on housekeeping that is used to certify house cleaning technicians. Before they enter your home, our cleaning technicians undergo a background check, a drug screening, and are thoroughly trained in professional techniques for the care of all types of surfaces. Castle Keepers House Cleaning was the world’s first residential cleaning service to earn a Cleaning Industry Management Standard certification and its Green Building designation. 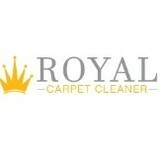 We guarantee customer satisfaction in every home we clean. When it comes to Commercial Janitorial Services, Floor Care Services and Construction Cleaning, no one compares to New Concepts Janitorial. With years of combined experience, New Concepts Janitorial has worked hard to build the trust of our clients in Cincinnati, Dayton and Covington and beyond. Visit our website to learn more. Or better yet, click the link and call us today! J Grace Enterprises LLC is a commercial cleaning contractor / janitorial service serving the West Chester, OH area. Services include Commercial Cleaning, Office Cleaning, Janitorial Services, Floor Cleaning, Floor Stripping, Deep Cleaning Services, Retail Cleaning, Tile and Grout Cleaning, Commercial Window Cleaning, Window Cleaning, Construction Cleaning and Carpet Cleaning. Serving towns of Cincinnati, Hamilton, Middletown, Loveland, Fairfield, West Chester, Covington, Ft Mitchell, Newport, Mason, Miamisburg, Lebanon, Milford, Franklin, Erlanger, Latonia, Fort Thomas, Springboro, Maineville, Goshen, Trenton, Morrow, Bellevue, Dayton, Monroe, South Lebanon, Somerville, Pleasant Plain, Melbourne, Terrace Park, Silver Grove, Kings Mills, Camp Dennison, Seven Mile, West Elkton, Bromley, Cold Spring, Crescent Springs, Crestview Hills, Edgewood, Elsmere, Fort Mitchell, Highland Heights, Lakeside Park, Ludlow, Park Hills, Rouse, Southgate, Spence, Villa Hills, Wilder, Anderson, Anderson Township, Arlington Heights, Avondale, Blue Ash, Carlisle, Cheviot, Colerain Township, Collinsville, Columbia Township, Day Heights, Deer Park, Elmwood, Glendale, Groesbeck, Hamilton Township, Indian Springs, Kings Island, Liberty Township, Lindenwald, Lockland, Madeira, Miamiville, Montgomery, Mount Healthy, Mount Washington, Newtown, North College Hill, Norwood, Overpeck, Parkdale, Queen City, Reading, Roselawn, Ross, Rossville, Saint Bernard, Shandon, Sharonville, Silverton, Springdale, Symmes, Taft, Walnut Hills, Westwood and Wyoming. If you need help with cleaning but don’t want to pay over the odds for it, hire our cleaning services in Camden and we will assist you. Sophia Cleaners offers a wide range of cost-effective and efficient cleaning services that can be tailored to meet your needs. From carpet cleaning to regular house cleaning, we can handle it all. Our cleaners in London are highly experienced and will go above and beyond to deliver the results you want. To hire our affordable cleaning company, call 02037439102 now and get a free quotation. Realcom Cleaning Service LLC provides professional cleaning service in Richmond, IN. W have many years of experience and we'll be glad to help you. Final Touch Cleaning Services 3442 Village Green Dr Dayton, OH 45414, United States 937-521-6243 info@finaltouchcleaningllc.com <a rel="nofollow" target="_blank" href="http://finaltouchcleaningllc.com/">http://finaltouchcleaningllc.com/</a> Final Touch Cleaning Services is the Miami Valley of Ohio’s premier full-service residential and commercial professional cleaning company. They offer competitive rates, a 100% satisfaction guarantee, and a 40-point checklist that every cleaner is required to fulfill on each job for quality assurance. Their commitment to excellence and their unwavering dedication to customer service is why more and more corporate and individual customers are choosing Final Touch Cleaning Services over the competition. They make it easy for you to hire their team of professional cleaners for services in advance or spur of the moment! They’ll never require you to fill out binding contracts or try to upsell you on additional services because they believe in what they offer. They know that satisfied customers come back without being locked into airtight contracts, and they know the key to satisfied customers is providing superior services at fair prices. Final Touch Cleaning Services can be hired for one-off cleaning sessions, which is great if you want to prepare your home for guests or need some help cleaning up after a party. If you prefer regular maintenance, you can also hire them on a repeat basis for bi-weekly, weekly, or even monthly cleaning appointments. The staff of cleaning professionals from Final Touch Cleaning Services will diligently clean your home or commercial space making sure to hit everything on their 40-point checklist as they go. In addition, Final Touch Cleaning Services offers specialized cleaning options like their signature window washing service. Their expert cleaners can help restore the beauty of your residential and commercial windows by using hands on techniques to scrub the grit and grime off of your windows and leave them streak free for a guaranteed 48-hours. They’ll even clean the window screens and perform minor repairs! The cleaners from Final Touch Cleaning Services can handle anything from small residential spaces to massive industrial, commercial, and retail areas. Just call (937) 521-MAID today for a free quote and experience the final touch difference! What should I expect from a house cleaner in Englewood, OH? Most professional Englewood house cleaning services will do the same tasks for a basic residential cleaning job: clearing dust and cobwebs from all surfaces and fixtures; wiping all surfaces, including sinks, tubs, counters mirrors; cleaning tile; vacuuming and mopping. You may want to have different rooms detailed at different times, so ask about doing a rotating schedule if you want them to pay extra attention to each space (like kitchens and bathrooms) every other cleaning. Some house cleaning companies in Englewood, OH will also offer additional services such as window washing or appliance cleaning, so ask about incorporating them into your deal or doing them as a one time thing if you’re interested. Pick up any clutter (laundry, toys and other gadgets) and put pets in a secure spot so they feel safe and don’t get in the way of the Englewood house cleaning company. Put out any specific cleaning products or tools you want used, and make sure to lock up any valuables that you don’t want disturbed. Most housekeeping services in Englewood, OH will enter with a spare key or garage code, but if that isn’t something you’re comfortable with then you should arrange for them to come when you are home to let them in. Typically Englewood house cleaners expect payment at the time of cleaning, so ensure you have the appropriate form of payment (cash, check or credit card) on hand, plus a little extra for tip if that’s your style and they do a great job. 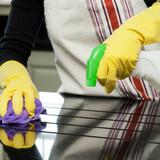 Find Englewood house cleaning services on Houzz. Narrow your search in the Professionals section of the website to house cleaners in Englewood, OH and contact local companies to ask questions and get quotes.